Two of my paintings – Ray & Clint – will be on display at the Ellie Caulkins Opera House for the winter salon. Ray is also featured on the billboard off Champa in downtown Denver. If you haven’t seen the latest massive outdoor artwork recently installed by the Denver Theatre District on the Champa side of the Caulkins Opera House, this coming monday is your chance to not only view one of the most dynamic compositions to date for the DTD’s outdoor art gallery but to celebrate with a rare exhibition of the original artworks from artists involved. 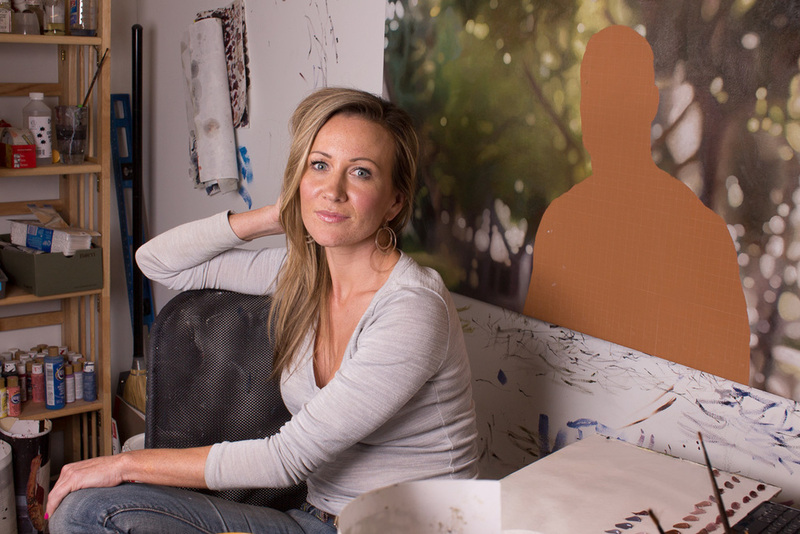 The “Faces of Colorado Art” is a composition of Denver’s most talented and respected contemporary artists who commonly utilize elements related to portraiture in their work. In many cases the works are self portraits, in others the person immortalized is a leading figure in Denver’s robust art scene, rounded out by select depictions of faces that simply resonate in an exquisite and singular fashion. Artists involved in the composition include Halim Alkarim, Bill Amundson, Nate Baldwin, John Bonath, Sharon Brown, Lu Cong, Monique Crine, Michael Ensminger, Travis Egedy, Lui Ferrera, Stefan Kleinshuster, Wes Magyar, Laura Merage, Jenny Morgan, Tony Ortega, Maria Vlasic, Jay Vollmar and Xi Zhang. Come find out who the “Faces of Colorado Art” are on Monday at the Chambers Grant Salon of the Ellie Caulkins Opera House and see an extensive viewing of original artworks. The evening will include food and beverages, an introduction to the DTD’s exciting first year with the Outdoor Art Gallery as well as a view into exciting opportunities in the coming months, as well as featured artists Sharon Brown talking about her current series “The Creators” which captures of Denver’s art scene through a wide swath of figures within. Definitely one of the holiday and year’s not-to-be-missed events!